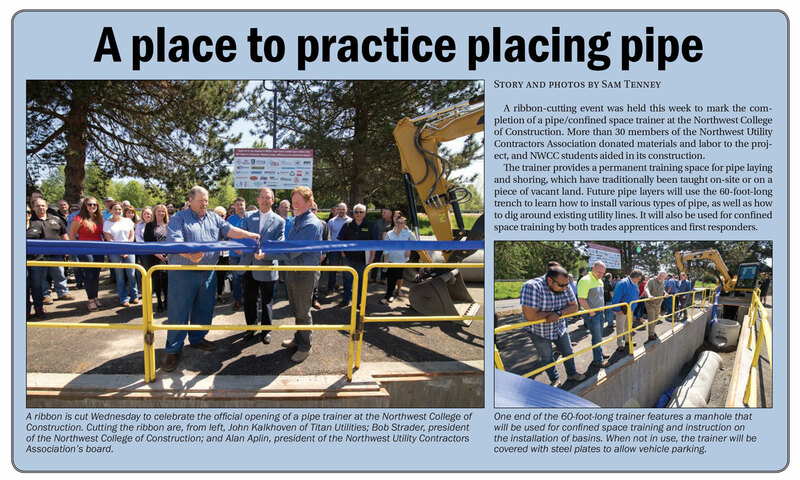 Daily Journal of Commerce coverage of the May 2, 2018 NWUCA pipe trainer dedication at the NWCC. Kerr Contractors proudly donated labor and equipment to construct this “one-of-a-kind” pipe trainer facility. This represents a significant investment towards workforce development for the construction industry.